One of the secrets to success they say is setting goals. A goal is the target of your aspiration and the desire to achieve it. Goals are important because they make a dream a tangible reality for which one can work towards. A goal however, even with all its crucial importance, is nothing more than just a dream if it is not achieved. The achievement of a goal is dependent on execution, which in itself is impossible without a plan. As an example, let us assume that you have created a business. For this business, you foresee a great future, one full of clients and a lot of income. However, that is all it is, a dream. So you decide that you need at least 200 clients by the end of the first month. That then becomes your goal. If you sit down and wait, hoping that the goal will be self-fulfilling, then you will be very surprised that at the end of the first month, all you have to show for your business is a wish for clients and income. That said a plan of execution is vital for any goal you have. It not only helps you achieve the set goal but also helps in determining the time frame, approximate amount of resources to be used and such. Developing the plan of action is a task that should not be taken lightly. Though it may seem like an easy thing, coming up with a plan is a particularly tasking job. Remember that the effectiveness of the plan is dependent on how solid it is. Having a weak plan is similar to not having one at all since it will not work effectively anyway.  At Macbeth, we offer Advisory services catering for among other things, business development advice. Planning is one of the skills that we rain our clients in. We give you the tools necessary to know what the plan should entail and what it takes to develop a plan based on a goal. Then we advise you on how to develop it, how to implement the plan to the goal, how to gauge the effectiveness of the plan in achieving the goal, how to alter the plan to increase effectiveness upon implementation, among other necessary skills in planning. We invest our time in researching the easiest and best plans for you so you do not have to. Our advisory service is designed to increase your success value in whatever way necessary.